Jul 3: Police received a call from a concerned citizen, advising of a motor vehicle complaint, with the driver failing to maintain a lane and running a red light. The caller was fearful that the driver was under the influence of an intoxicant. Responding officers located the vehicle and conducted a motor vehicle stop/investigation. Upon making contact with the driver, a 46 year old female from Salem City, the odor of an alcoholic beverage was emanating from the vehicle and an open beer can was observed on the passenger side floor. After conducting Field Sobriety Tests, the driver was arrested for suspicion of Driving While Intoxicated and transported to headquarters. There she submitted samples of her breath which were analyzed and she was found to have a 0.11% BAC. She was served summonses for DWI, Open Alcoholic Beverage Container and Careless Driving and subsequently released to a family member in accordance with John’s Law. 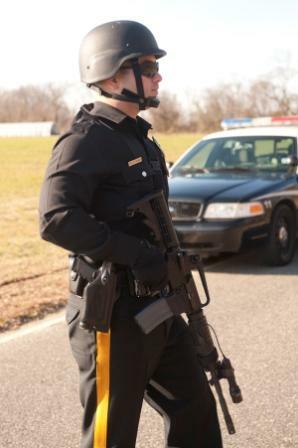 Jul 6: Police responded to South Jersey Auction, 26 Repaupo Station Rd, for a report of theft. The investigation revealed that a buyer was the winning bidder on $2,035.64 worth of merchandise at one of the recent auctions. He subsequently loaded the product into his trailer and left the property without making payment and numerous calls seeking to make payment arrangements went unanswered. The buyer, a 42 year old Philadelphia man, was subsequently charged with theft and a warrant has been issued for his arrest. Jul 11: Police received information from the Salem County Prosecutor’s Office that an employee of Arytza Bakery, 11 Technology Dr, was wanted on several active warrants from Salem County as well as Florida. Officers responded and took the suspect, a 63 year old Penns Grove man, into custody without incident. He was transported to headquarters, where he was processed and subsequently turned over to the Gloucester County Sheriff’s Department for transport to the Salem County Jail. Jul 20: Police responded to ReadyPac, 101 Arlington Blvd, for a report of theft. The victim, a 25 year old Philadelphia man, advised that at some point during his shift, he misplaced his car keys. After they were located by another unknown employee, the victim checked the interior of his car and found that $300 had been stolen from the center console. No surveillance cameras cover the area of the parking lot where the victim’s vehicle was located and no evidence was located to develop a suspect(s). July 24: Police were dispatched to Camping World, 602 Heron Dr, for a report of theft. Upon arrival it was learned that at some time between July 20th and July 24th, unknown individual(s) removed 15 catalytic converters from motor homes on the lot. The total loss is estimated to be in the amount of $12,750. Detectives are pursuing investigative leads but thus far, no suspects have been identified. Jul 31: While on patrol in the Wawa parking lot, 1700 Center Square Rd, an officer observed a 2011 Honda displaying and altered temporary registration from South Carolina and conducted a motor vehicle stop. After gathering credentials from the driver, a 33 year old Woolwich Township man, it was learned that he was a Wanted Person from the State of Maryland. He was taken into custody and transported to headquarters where he was processed and turned over to the Gloucester County Sheriff’s Department for transport to the Salem County Jail.